and countless volunteer hours to Williamsfield Schools. Our P.A.T. funds classroom technology, science laboratory equipment, educational field trips, the P.E. 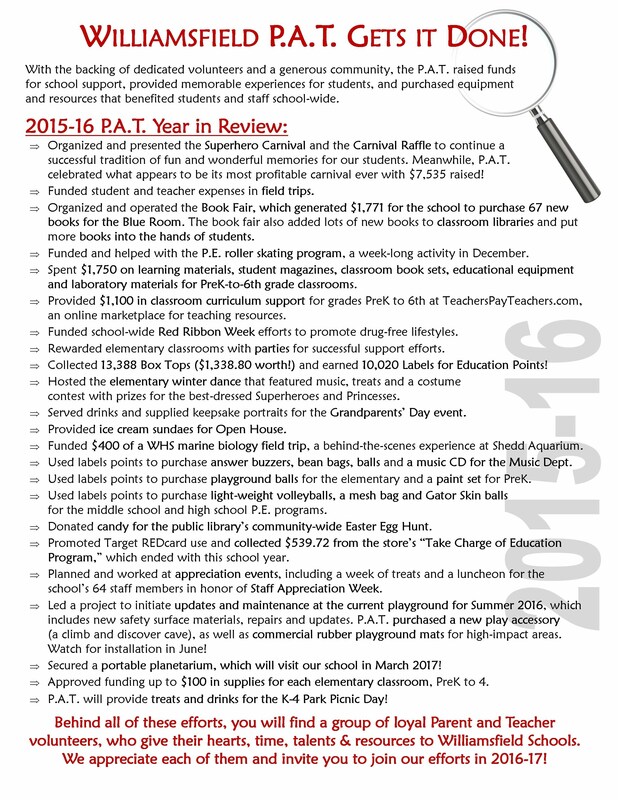 roller skating program, elementary-wide reading program and more. We even provide fun activities like student dances, ice cream sundaes at Open House, week-long goodies for Staff Appreciation Week, the Book Fair and Carnival! We invite you to join our efforts! We meet the first Thursday of every month from October to May at 5:30 p.m. in the Blue Room. 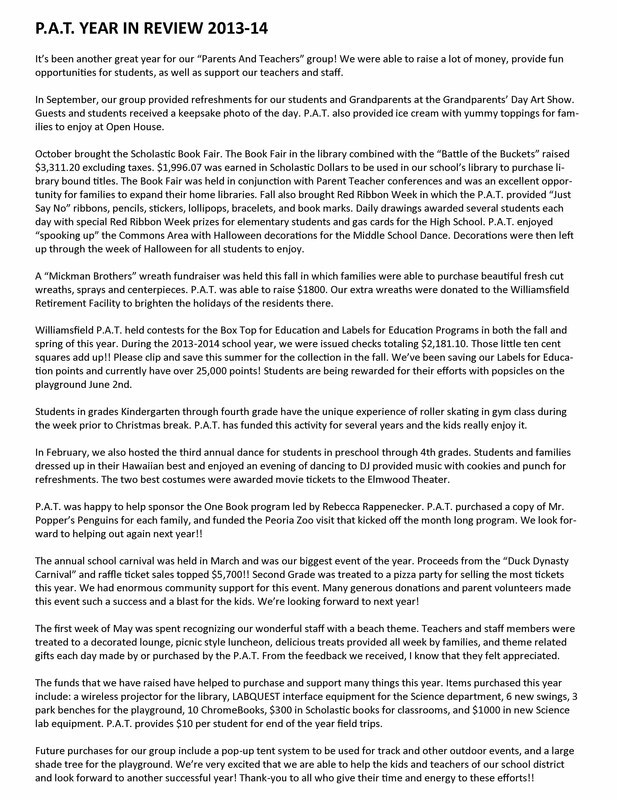 P.A.T annually builds on a rich tradition of service to students and staff at Williamsfield Schools. 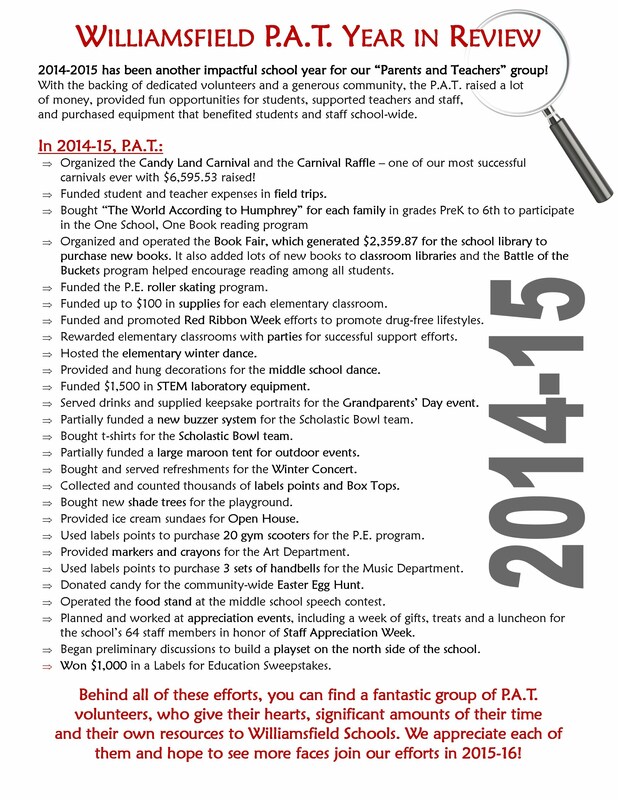 Check out our lengthy lists of annual accomplishments!